29 Then he told them a parable: “Look at the fig tree and all the trees; 30 as soon as they sprout leaves you can see for yourselves and know that summer is already near. 31 So also, when you see these things taking place, you know that the kingdom of God is near. 32 Truly I tell you, this generation will not pass away until all things have taken place. 33 Heaven and earth will pass away, but my words will not pass away. If we are not careful we will miss it, we will miss the mischievousness of the divine dancing around us here and now. Sitting on that porch, with the music of the rain, and the warmth of love filling the space I realized that Rev. Darwin was completely right when he said, “Advent is an invitation to living in time differently.” We were all invited to live into time differently at that wedding; we were invited to pay attention, to keep our hearts open to the movings of God, to look and to see that even in the darkness of a rainstorm God is present and doing incredible things. Advent is a season of anticipation, a waiting period for the baby Savior to be born. Here we are at the beginning of that season of waiting and I hope and pray that you will live into time differently. That you will pay attention to the world all around you and you will look and see that God is present even as we wait. 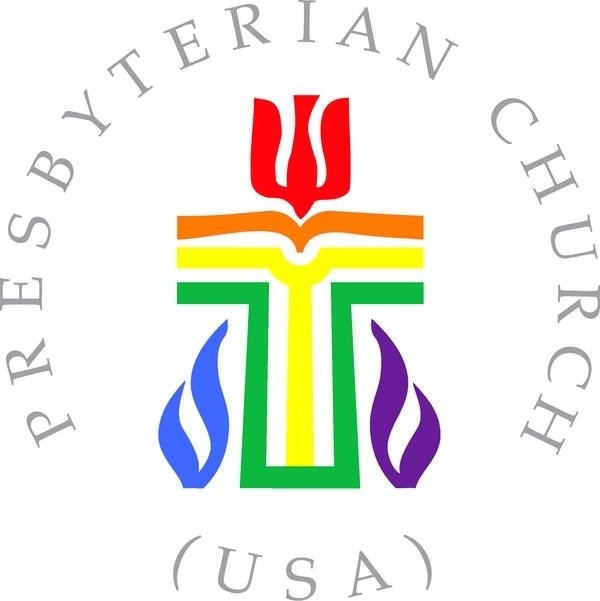 Margaret is a seminary student at Columbia Theological Seminary and an inquirer for Ordained Ministry under the care of the Session of Second Presbyterian Church. 13Now on that same day two of them were going to a village called Emmaus, about seven miles from Jerusalem, 14and talking with each other about all these things that had happened. 15While they were talking and discussing, Jesus himself came near and went with them, 16but their eyes were kept from recognizing him. 17And he said to them, “What are you discussing with each other while you walk along?” They stood still, looking sad. 18Then one of them, whose name was Cleopas, answered him, “Are you the only stranger in Jerusalem who does not know the things that have taken place there in these days?” 19He asked them, “What things?” They replied, “The things about Jesus of Nazareth, who was a prophet mighty in deed and word before God and all the people, 20and how our chief priests and leaders handed him over to be condemned to death and crucified him. 21But we had hoped that he was the one to redeem Israel. Yes, and besides all this, it is now the third day since these things took place. 22Moreover, some women of our group astounded us. They were at the tomb early this morning, 23and when they did not find his body there, they came back and told us that they had indeed seen a vision of angels who said that he was alive. 24Some of those who were with us went to the tomb and found it just as the women had said; but they did not see him.” 25Then he said to them, “Oh, how foolish you are, and how slow of heart to believe all that the prophets have declared! 26Was it not necessary that the Messiah should suffer these things and then enter into his glory?” 27Then beginning with Moses and all the prophets, he interpreted to them the things about himself in all the scriptures. 28As they came near the village to which they were going, he walked ahead as if he were going on. 29But they urged him strongly, saying, “Stay with us, because it is almost evening and the day is now nearly over.” So he went in to stay with them. 30When he was at the table with them, he took bread, blessed and broke it, and gave it to them. 31Then their eyes were opened, and they recognized him; and he vanished from their sight. 32They said to each other, “Were not our hearts burning within us while he was talking to us on the road, while he was opening the scriptures to us?” 33That same hour they got up and returned to Jerusalem; and they found the eleven and their companions gathered together. 34They were saying, “The Lord has risen indeed, and he has appeared to Simon” 35Then they told what had happened on the road, and how he had been made known to them in the breaking of the bread. In his first exhortation, Pope Francis wrote, “There are Christians whose lives seem like Lent without Easter.” Surely that is how the two disciples on the road to Emmaus felt. Stuck in grief and disappointment, they couldn’t believe the women’s Easter news that Jesus had risen, so they pressed on toward a little town whose only noteworthy characteristic was how far away it would get them from Jerusalem. Risen Jesus, restore to us the joy of your salvation. Meet us here, meet us now, and make our cup overflow with gratitude and rejoicing. Christ be in every eye that sees me, Christ be in every ear that hears me. Lord Jesus, increase in us, we pray. Amen. 2011 Pastor, Lemoore Presbyterian Church, Lemoore, Ca. Through this journey of Lent we slow our pace to a crawl during Holy Week. We pause each day to remember the last moments of Jesus’ earthly life before his crucifixion. On this Maundy Thursday, we find ourselves with the disciples resting at the feet of Jesus as he offers this prayer. next are those of betrayal. Together, Jesus’ prayer and his subsequent betrayal act for us as a mirror in which we see, simultaneously, both God’s desire for us and our own disobedient brokenness. As we pause to sit with Jesus’ prayer, may we also sit with him on the night of his betrayal. Resting in this tension, may we sit still enough to see through the cracks of our lives as his grace shines through to fulfill the hope of his prayer. Ever faithful God, we give you thanks that on the night of your betrayal you were not concerned for yourself but prayed for us, and for all your disciples, that we may be one. By your Spirit unite us through your grace, peace, and love. Amen. 27“Now my soul is troubled. And what should I say — ‘Father, save me from this hour’? No, it is for this reason that I have come to this hour. 28Father, glorify your name.” Then a voice came from heaven, “I have glorified it, and I will glorify it again.” 29The crowd standing there heard it and said that it was thunder. Others said, “An angel has spoken to him.” 30Jesus answered, “This voice has come for your sake, not for mine. 31Now is the judgment of this world; now the ruler of this world will be driven out. 32And I, when I am lifted up from the earth, will draw all people to myself.” 33He said this to indicate the kind of death he was to die. 34The crowd answered him, “We have heard from the law that the Messiah remains for ever. How can you say that the Son of Man must be lifted up? Who is this Son of Man?” 35Jesus said to them, “The light is with you for a little longer. Walk while you have the light, so that the darkness may not overtake you. If you walk in the darkness, you do not know where you are going. 36While you have the light, believe in the light, so that you may become children of light.” After Jesus had said this, he departed and hid from them. Light and darkness. Illumination and shadows. Clarity and confusion. Our world sends us mixed messages about what is light and what is darkness. Our sin clouds our judgement and we believe that a shadow disguised as a lamp can somehow show us the way, any way . . . to peace. Jesus Christ took on all darkness so that we could know light and be surrounded by it always. The Light of the World surrendered to hurt and bitterness, evil and destruction. On His way to the cross, Jesus told his disciples to remain with Him so that they would know the way. In the beginning of John’s Gospel we are reminded that darkness cannot overcome the light. No matter what happens—even death on the cross, even descent into hell—the Light will always crowd out the shadows of sin and evil. In this Lenten season, we are intensely aware of the encroaching darkness in our world. How easily we start to feel defeated. As we wait for our Savior and as we long for wholeness and peace, let us seek the Light of the World and let us be lights to those around us by proclaiming His hope, peace, love, and joy for all to hear. Lord, please shine your light upon us today, and with your light strengthen us to be people of light, to shed fear of the darkness, and to stand with confidence upon your promises. We need your comfort and your assurance. Guide us in the way we ought to go, and light our path. Amen. 1Happy are those whose transgression is forgiven, whose sin is covered. 2Happy are those to whom the LORD imputes no iniquity, and in whose spirit there is no deceit. 3While I kept silence, my body wasted away through my groaning all day long. 4For day and night your hand was heavy upon me; my strength was dried up as by the heat of summer. Selah 5Then I acknowledged my sin to you, and I did not hide my iniquity; I said, “I will confess my transgressions to the LORD,” and you forgave the guilt of my sin. Selah 6Therefore let all who are faithful offer prayer to you; at a time of distress, the rush of mighty waters shall not reach them. 7You are a hiding place for me; you preserve me from trouble; you surround me with glad cries of deliverance. Selah 8I will instruct you and teach you the way you should go; I will counsel you with my eye upon you. 9Do not be like a horse or a mule, without understanding, whose temper must be curbed with bit and bridle, else it will not stay near you. 10Many are the torments of the wicked, but steadfast love surrounds those who trust in the LORD. 11Be glad in the LORD and rejoice, O righteous, and shout for joy, all you upright in heart. “I’m sorry.” These are often two of the most difficult words to say to someone. Fear, pride, laziness, apathy—these are just a few of the “reasons” we avoid apologizing and taking responsibility for the mistakes we have made. Asking for forgiveness can be even more difficult, for in doing so we make ourselves even more vulnerable than we did when we first apologized. But what a relief when we’ve taken both of these steps! While we might still have to live with the consequences of our mistakes, the acts of apologizing and asking for forgiveness are the most significant steps toward healing and reconciliation that we can take. 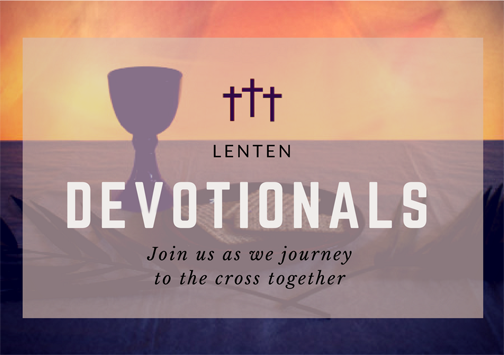 Lent is a time of self-examination and reflection on one’s relationship with God. Why not use this time to take the first steps in repairing a broken relationship—with a friend, a family member, or God. There may be no better way to prepare for Easter. Lord, we wait for you. During this Lenten season, out of the deepest and darkest depths of life, we hope in you. On Good Friday, as we remember Jesus’ suffering and death, we put our hope in you. For we look forward to the life and renewal that you give us on Easter. Amen.